What’s good: I take this tiny bottle of visor cleaner with me everywhere I go as it’s small enough to travel but will last for at least a week or two of constant use when travelling. The price includes a large bottle that you refill the small spray bottle with. I wrap the little bottle in a small microfibre cloth. 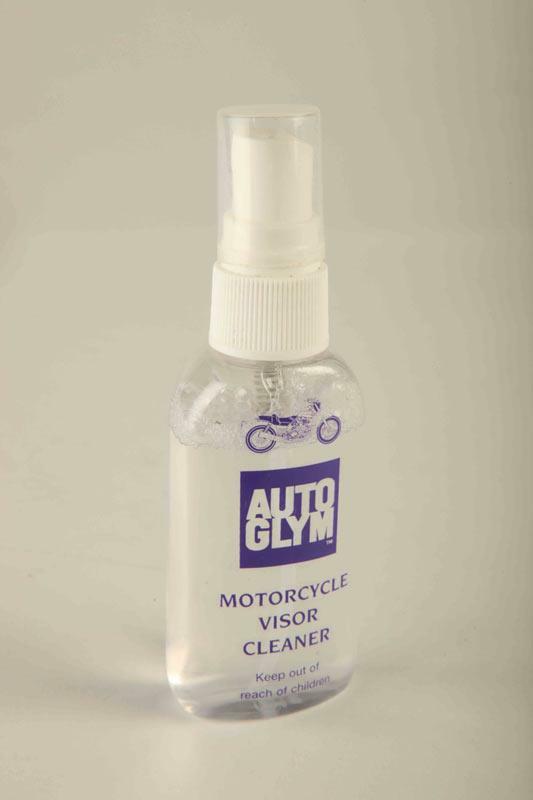 The spray easily lifts splattered insects, road grime and oil off a visor with ease even when they have hardened in the sun and heat of a day of riding. It may seem a lot to pay £12.50 for a bottle of detergent but it has lasted me five years and there is still a third of a bottle left so it looks better value every day that passes. What’s not: There is an argument that paying for what is essentially a bit of detergent in a bottle is a waste of money. To some extent I agree but knowing you can clean whatever summer or winter grime is obscuring your view of the road is reassuring.